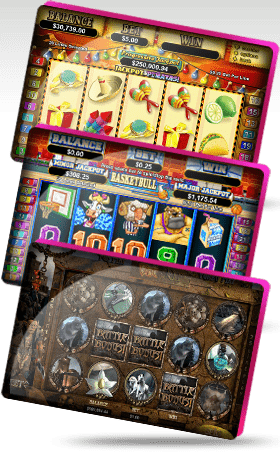 Slots Jungle Casino is an American online scratch cards site and casino, offering any kind of game you're looking for, whether that's blackjack, poker, slots, sports betting - you name it. We think that online scratch cards are much more fun and addicting than their land-based counterparts. To win, get one image three times, in a row or diagonally. 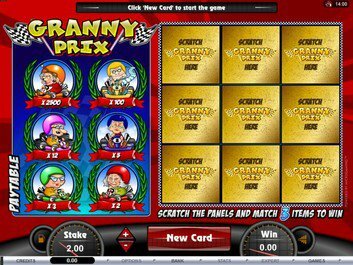 This slot machine type of play is very fun, and there are also casino bonus offers to play these types of games. You can wager as much as you want. In fact, one of the main reasons online scratch cards have become so popular is because they're so cheap to play. The cost starts from as little as $0.05. Remember that at our American online scratch cards site, the prize money depends on the original cost of the card. For instance, if the largest cash prize available is 10,000x your original stake, someone who hits the jackpot while betting $0.10 will win $1,000, while someone who has paid $1 for the card will be given $10,000.